Quirine Eijkenboom, 2014 Stanford Intercollegiate Hosted by Dr. Condoleeza Rice. No. 9 Stanford women’s golf continued its strong fall season with a victory at the Stanford Intercollegiate on Oct. 18-20. The win marked both the second straight year the Cardinal have won the tournament at their home course and the team’s second victory in three starts this fall. The Cardinal’s wire-to-wire victory came on the strength of stellar performances from sophomore Shannon Aubert and juniors Casey Danielson and Quirine Eijkenboom. 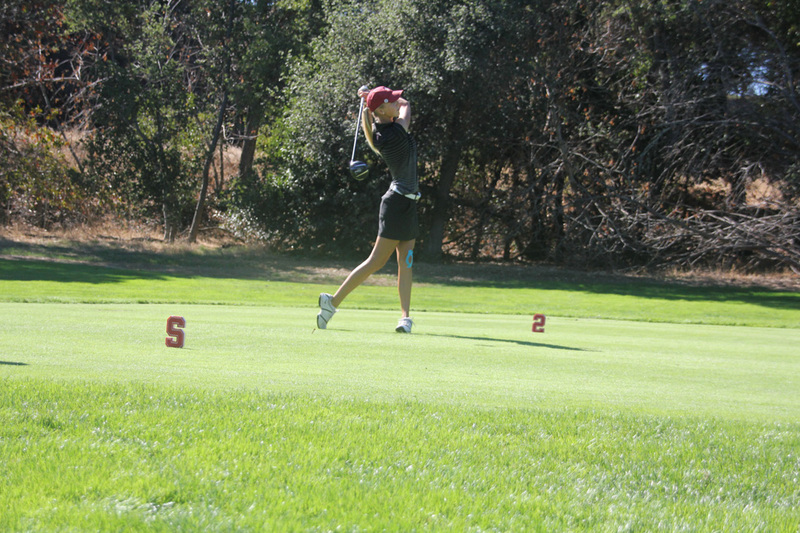 The trio, who normally take a back seat to seniors Lauren Kim and Mariah Stackhouse, each played some of the best golf of their collegiate careers to give Stanford a seven-stroke victory over runners-up USC. After a steady but unspectacular first round for the Cardinal, Aubert started to put the tournament away with a dazzling second round 67 in which she only bogeyed the difficult 6th hole. The sophomore from Florida by way of France excelled on the par-3s on Monday, recording three birdies and no bogeys, and coasted to a career-best 3rd-place individual finish with a tidy 71 in the final round. Danielson’s 4th-place finish, characterized by her trademark steadiness (she recorded just seven bogeys through three rounds), was even more impressive considering that she played through hip soreness for most of the tournament. While Danielson rarely posts super-low numbers like Kim, Stackhouse and Aubert, the junior’s ability to avoid mistakes is a tremendous asset for coach Anne Walker’s team. Walker was particularly effusive about Eijkenboom’s performance. The junior’s clutch 71 on the final day was key to holding off late charges from USC and UCLA. Eijkenboom’s 23rd-place finish was the third-best in her Stanford career and an encouraging sign that she can continue to develop in her junior season. On the other side of the country, No. 5 men’s golf tied for sixth place in a talent-laden field at the U.S. Collegiate Championship in Alpharetta, Georgia. Cementing his status as the nation’s best collegiate golfer, junior Maverick McNealy shot a blistering final round 67 to tie for medalist honors. 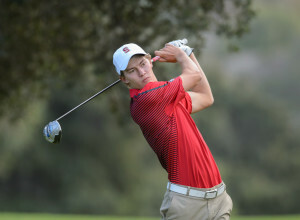 The win was the eighth of McNealy’s Stanford career, putting him three shy of matching the school record set by Tiger Woods and Patrick Rodgers. McNealy’s 15 birdies led the field by a large margin, suggesting that the junior could have gone even lower if not for a mistake-filled second round 74. Beyond McNealy’s performance, coach Conrad Ray will be very pleased by the promising play of freshman Brandon Wu. Starting in just his second collegiate tournament, Wu posted a first-round 70 that was punctuated by an eagle on the opening hole and a 32 on the front nine. Despite coming to Stanford as an under-the-radar recruit, Wu certainly has the talent to become a regular contributor for the Cardinal. Wu’s development may help address a key issue on the men’s team over the past two seasons: The need to support McNealy’s stellar play with consistent results from the next four spots. Like the women’s team last season, this year’s team will have to rely on its talented but inconsistent group to get hot at the right time to make a playoff run. Both teams have one tournament left in fall play, with the men playing in the Gifford Collegiate Championship from Nov. 2-4 and the women going to the prestigious East Lake Cup on Nov. 2 and 3.